Planning a promotional event is no small task. You want it to be a success, and something your guests will remember. Black-tie events and fancy restaurants might seem professional, but they’re also boring. Plan your next promotional event as a carnival to give your guests the gift of fun! So why should your next even be a carnival? There’s nothing like a high-energy atmosphere to bring people together. With thrilling rides and games, a carnival provides an exciting setting for people to gather. That’s why carnivals are perfect for a neighbourhood or community event! Carnival rides like the Sizzler will leave everyone laughing, and are perfect for children and adults alike. Carnivals also encourage people to move around, especially to grab some delicious food. Add fairy floss, popcorn, and snow cones to your event so everyone can walk, talk, and enjoy the tastes of their childhood. You can even add a coffee cart for the adults! Forget sit-down dinners and worn out bonding exercises. A carnival is the perfect way to help your team bond. You’ll find everyone laughing together while crashing and thrashing on Dodgem cars, and they’ll make lasting memories along the way. Sideshow games are a great way to bring a team together as they compete for the biggest prize. Games like Hi-Striker are timeless and fun for the whole team. You could even create a little friendly competition, and give the winner an extra reward when you get back to the office! Carnival games encourage teams to give advice, engage in light-hearted banter, and form lasting bonds. If you want your guests to remember your promotional event for a long time to come, then a carnival is the way to go! A carnival can help your guests associate your product or service with fun, joy, and a memorable night. Take advantage of carnival hire to promote any product or service. The atmosphere of your event will inject energy into your product, and you can easily incorporate your brand into the event. Set up an information booth amongst the carnival rides and side show games to seamlessly blend your promotional product with the fun and amusement of a carnival! Events can quickly become stressful for the organiser. You might be worried about managing the event by yourself, finding the right theme, or hiring the right props. The beauty of carnival hire is that it’s easy and it’s fun for everyone! Joylands will provide all the support you need to make the day a success, from management to equipment and staff. And because we’ll take care of everything, you’ll be able to relax and enjoy the event, too! Looking to take your next corporate event to the next level? Carnival hire will make a lasting impression, and everyone will appreciate a place they can let loose and forget the stress of the office. The carnival’s open plan will also allow people to form new connections, all while having an awesome time! If you want your event to be one thing, it’s memorable. And what’s more memorable than food, fun, and games? Crazy carnival rides, snow cones, and giant side show prizes all contribute to the excitement of a carnival. This excitement will last in your guests’ memories for years to come. You want your guests to remember the success of your event, but you also want them to remember what the event was all about. Luckily, a carnival does both! Your guests will remember a fun and joyous time, and they’ll associate that good feeling with your good or service, too! If you’re ready to give your guests a day or night of joy, look no further than Joylands. 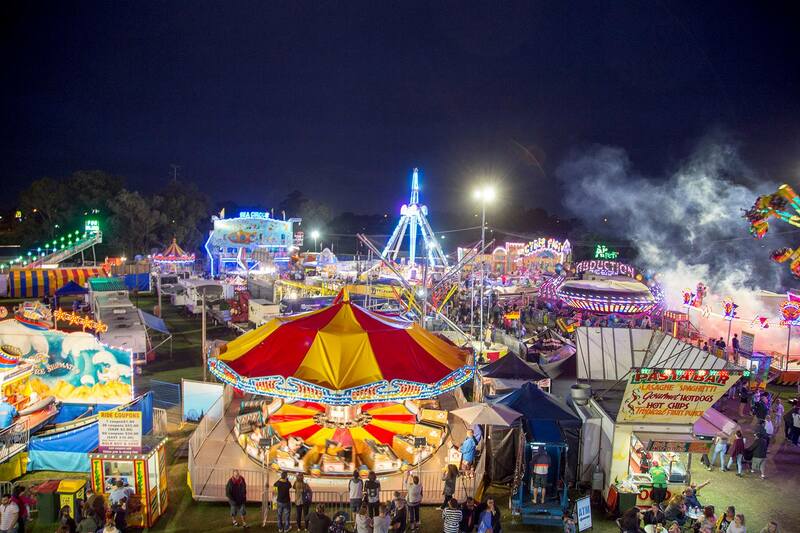 Joylands can provide carnival hire anywhere around Sydney. We’ve been providing carnival rides and games for over 45 years, and treat every event with dedication and professionalism. And with one of the largest selections of mobile amusement devices in Australia, your event is sure to be a hit! At Joylands, we love to inject fun and joy into your events. We can organise any rides, side alley games, or food items that will help take your event to the next level. Contact us today for more information!